I love when you wake up one morning and you can smell the change of the season in the air. When you no longer need that extra blanket on your bed and all you need is your window open at night. Summer is near and the fun is just beginning. No one needs to be bothered by what dessert to bring to the next BBQ. You should really be focusing on how to tame your frizzy hair with the humidity that is coming upon us, that is real goal for the summer. This is an easy breezy tart that doesn’t have to be perfect and can be thrown together in no time. First things first, heat the oven to 475, then line a baking sheet with foil and spray with Pam or grease with butter (set aside). Begin chopping up the strawberries, peaches and mangos. Place fruit in a small bowl; pour sugar and vanilla over the assorted fruits (do small amounts first to your taste). Set aside and begin to flour the surface of your counter. Take the cold piecrust out of the fridge and unroll on floured surface. Use a rolling pin to help flatten out the dough to size desired, the perks of this tart is that it doesn’t have to be perfect. 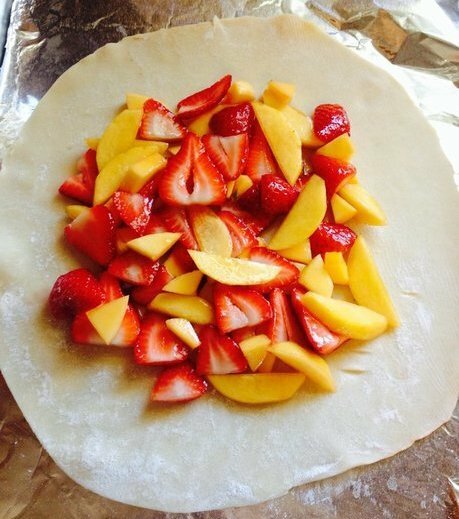 Place dough onto the baking sheet that is lined with the foil, and then start to scoop the fruit into the middle of the piecrust. 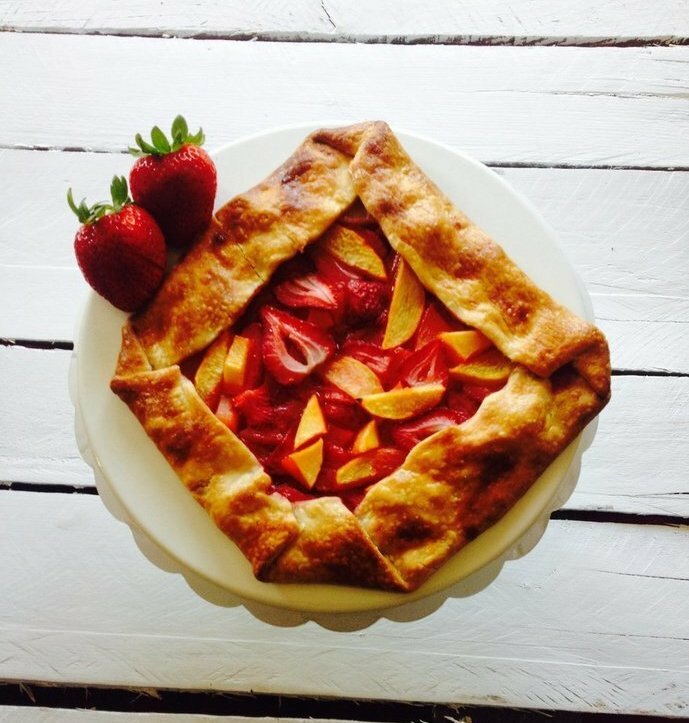 Avoid pouring the excess amount of juice from the fruit onto the tart, you don’t want it to become soggy but a little wouldn’t hurt. This is when it becomes fun, you can fold the sides over the fruit however you’d like, leaving the center open to display your beautiful fruit. I then take the one egg and beat it with a small amount of water, brush egg wash mixture onto the piecrust and for added flavor sprinkle sugar over the whole tart. Bake for 20-25 minutes or until golden brown, let cool. . ENJOY!